Compound butter is a fancy way to say: flavored butter that makes you wander around your kitchen mumbling, "what else can I smear this on?" Just a few ingredients and a few steps is all it takes. 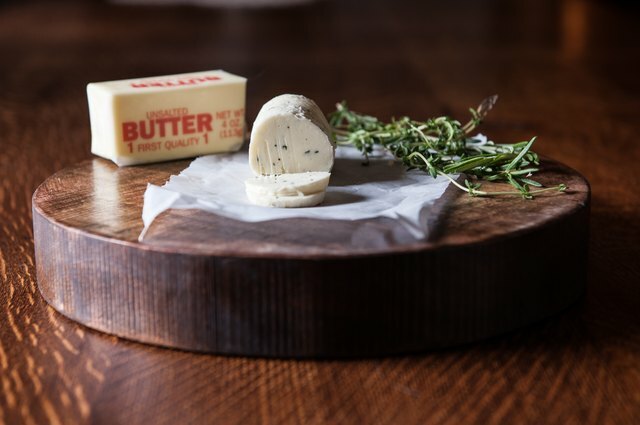 So, instead of offering a steak, you can now serve a steak with blue cheese chive butter. 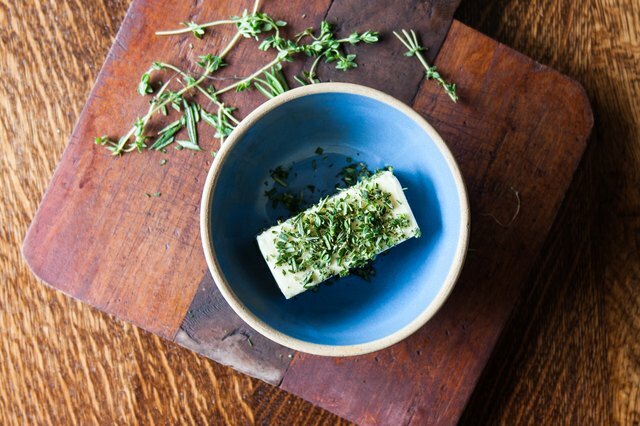 Instead of just bread and butter, you can serve bread with sea salt honey butter, or garlic herb butter, or sun dried tomato basil butter. The possibilities are endless. Plus, it freezes really well so you have no reason not to spend all day Saturday thinking up new flavor combos. Make sure to use softened butter! Leave the butter at room temperate for at least an hour to soften it up and make it easier to work with. A flavoring can be anything that you want to use in your butter. Add softened butter and herbs (or other flavorings) to a bowl and mix until well combined (a food processor will also work and is especially helpful if you are making a double or triple batch). 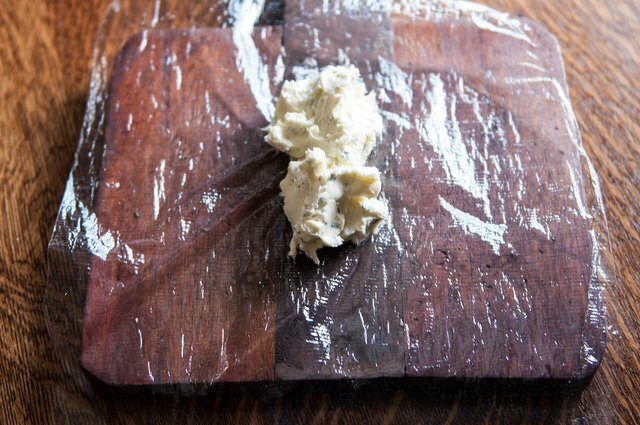 Transfer the softened butter to a sheet of plastic wrap or parchment paper in a long line down the center, leaving lots of space on all sides to roll up the butter. Using the plastic wrap (or parchment paper) roll tightly into a log about 2 inches in diameter. Chill until ready to serve. Once ready to serve, slice the log into 1/4-inch slices. 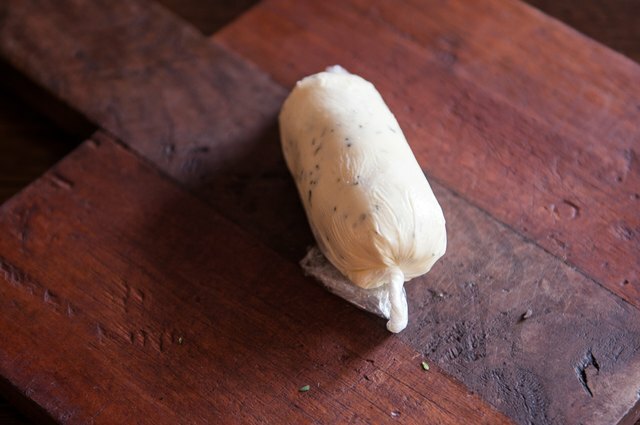 Keep butter wrapped tightly and store in an airtight plastic bag or container. Butter will keep for up to two weeks in the fridge, or two months in the freezer.